Caravanners and campers spending an average $152 a night in our region. 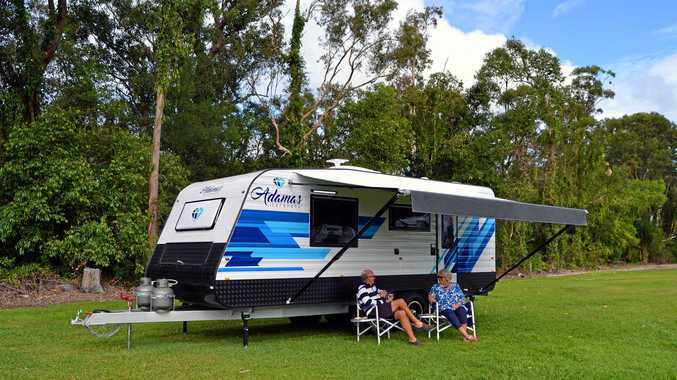 BUNDABERG is growing in popularity for caravanners and campers. The region saw a 35% increase in camping and vanning trips in 2015-16 and the number of nights stayed climbed 9% on the 2014-15 financial year. Mobile tourists spent 397,012 nights in the region last financial year. With caravanners and campers spending an average $152 a night in the region, Bundaberg businesses would have collected about $60.3 million from mobile tourists last financial year. An ARM Newsdesk analysis of Caravan Industry Association of Australia data shows campers and vanners made 115,903 trips to Bundaberg in 2015-16. Bundaberg was the ninth most popular Queensland tourism destination for vanners and campers last financial year. Bundaberg North Burnett Tourism general manager Katherine Mergard said mobile tourists were "essential" to the region. "The drive market is essential to the Bundaberg and North Burnett regions, with much of our domestic marketing focused on this sector," Ms Mergard said. "With this sort of consistent growth, Bundaberg North Burnett Tourism once again congratulates the business community across the Bundaberg North Burnett for continuing to deliver exceptional visitor experiences to both our domestic and international visitors. "The 9% growth in nights for domestic caravan and campers also highlights the ongoing importance of the visitor information centre network across Queensland for this market." Stuart Lamont from the CIAA said vanners and campers were attracted to regions that offered excellent facilities and opportunities to explore. "Travellers look for outdoor and activity-based experiences as well as the chance to try local produce and dining venues," Mr Lamont said. "Regions that enjoy great weather and climates are always popular, given the outdoor nature of caravanning and camping, but they also need to be accessible.